mad nomad – Travelling around the world on a motorcycle! 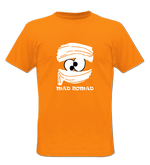 : Where is mad nomad? When I got back to Greece, in the end of June 2016, I saw my family for a couple of weeks and then I started working immediately, since it was the middle of the tourist season. I went back to sailing and I really enjoyed it. I had missed sailing a lot while traveling on my motorcycle. So, I was a skipper taking tourists around the small islands and the hidden treasures of the Ionian Sea by sail-boats. I was still moving from place to place everyday and I was feeling that I was still traveling. It was definitely a great summer! 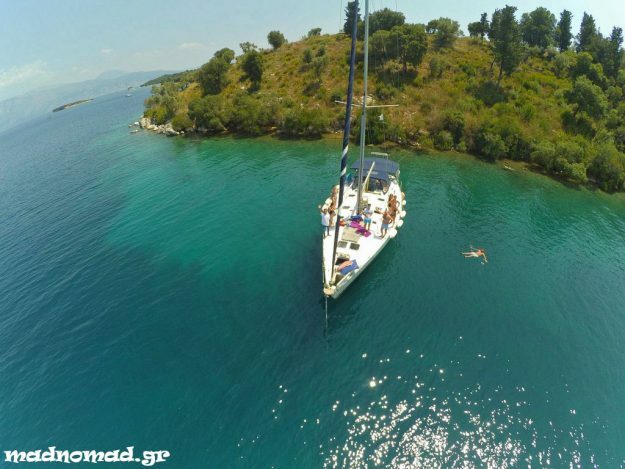 Sailing a 52-foot sail-boat around beautiful Meganisi in the Ionian Sea of Greece! As soon as the tourist season came to an end, it was time to realize our next plan… Stella is a kindergarten teacher who was posted in a public school in Athens the last years. Well, needless to say, that chaotic city would be the last place I would choose to live in Greece. So, we decided to move to the mountains! Stella was already fed up with city life and living full-time on the mountains was a dream of mine since I was a teenager. Exploring the forests of Evritania! Stella asked to be posted in the region of Evritania, which is considered a curse for teachers, because it’s a region full of remote mountainous villages. There is only one village in the whole district which is not considered remote. We did not even check that village out. Stella was the only kindergarten teacher of Greece who asked willingly to be posted in Evritania! There were 21 kindergarten schools in the region of Evritania and guess what… all of them were vacant. That was a huge advantage for Stella, because she could choose to be posted wherever she wanted! So, during the summer, on the way towards the Ionian Sea, we spent three days exploring majestic Evritania on our motorcycles. I had already explored a big part of the area long time ago and it was one of my favorites! After visiting every remote village with a kindergarten school, we chose to live in beautiful Fourna! 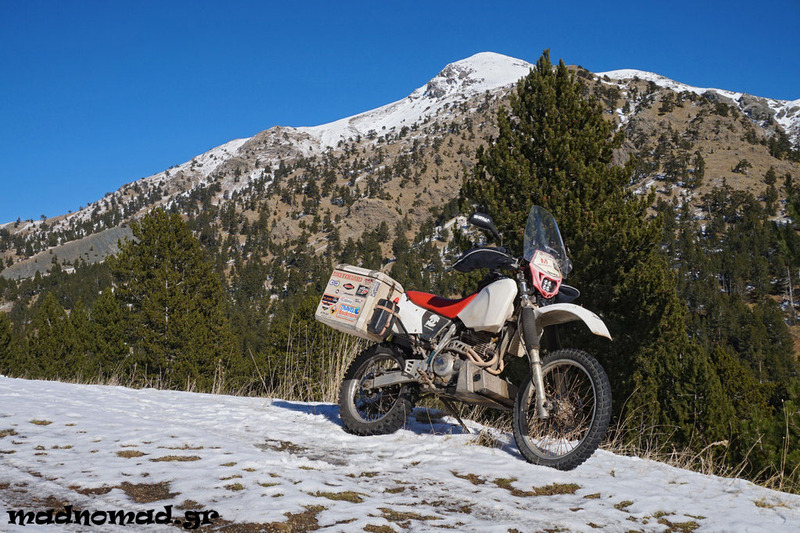 We were surrounded by the second largest fir forest of Greece and the area really looked like Alps! It goes without saying that there were endless dirt roads and trails cutting through the forests. Actually there were more gravel roads than paved roads! On top of that, Evritania is one of the least explored areas of Greece, if not the least explored. 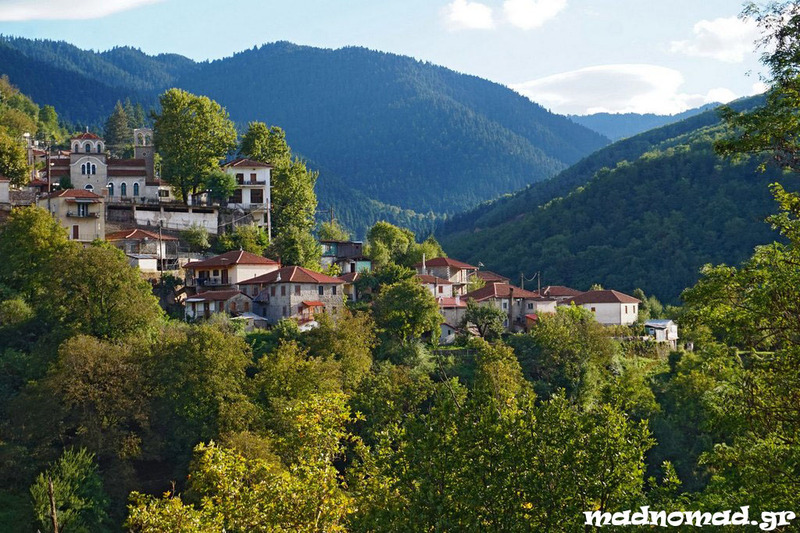 The beautiful village of Fourna is surrounded by the second largest fir forest of Greece! That was the perfect playground for us! On weekends we were packing our motorbikes and we were exploring our wonderful area! 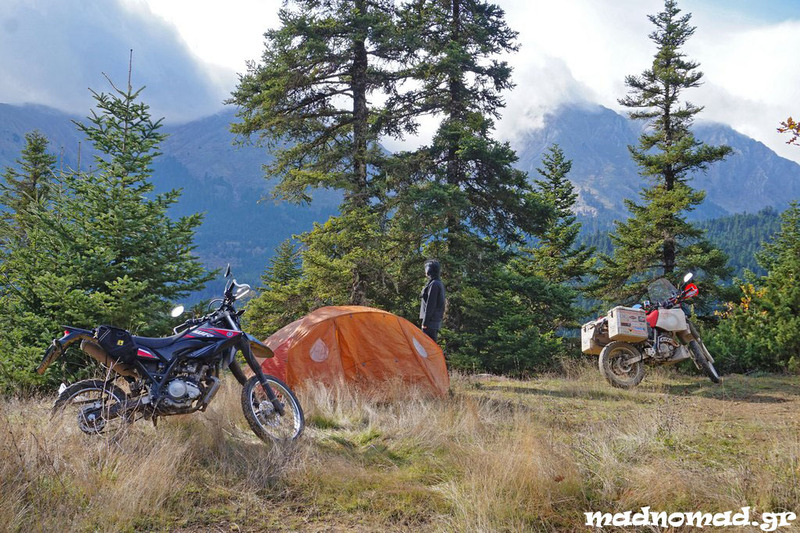 There were so many amazing rides and hikes around us… We were spending the night in our tent deep in the forest and going back home seemed like visiting a chalet on the Alps. We were renting a warm, cozy house with a nice garden and beautiful views on the mountains from our windows. For both of us it seemed like the best time we ever had in Greece! We had a simple and quite independent life. There were no bakeries or groceries in our village, so we always had to be prepared and keep a stock in our house. We were baking our own bread, we learned how to collect and use weeds and fruits from the forest, we were making our own jams and after all, we were feeling that we never had more! On weekends we were packing our motorbikes and we were exploring our wonderful area! 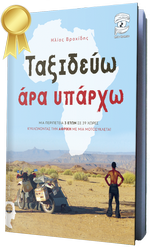 That was the best environment for me to write… Every single day, especially during the cold winter, I was focused on my third book, which will be about —what else?— my adventures around Africa! 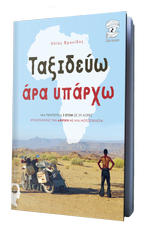 I try to share my trip and transfer the image I got from that so complicated —and so misunderstood— continent. Spending countless hours writing every day, I achieved to have the script ready before the 2017 summer season started. Unfortunately, this one is just in Greek at the moment. I will try to find a publisher abroad and have it in English (or in another language) too but that’s not so easy, so I can not promise anything. After spending the whole summer working as a skipper on sail-boats again, 2017 was coming to an end and I was on Baobabis, my motorcycle, traveling to snowy Switzerland. I entered the country through Simplon Pass (2,005 m / 6,578 ft) where the thermometer was reading -7 degrees Celsius. Everything was covered on snow except the road. I spent the winter in Geneva with Angeliki, who got a job there for a few months. Geneva is quite a small city and it got the characteristic serenity and green parks that North Europe is famous for. It is worth exploring for a while… Its location at the shore of Lake Léman is picturesque, while at the background we could see the Alps calling us on their slopes! 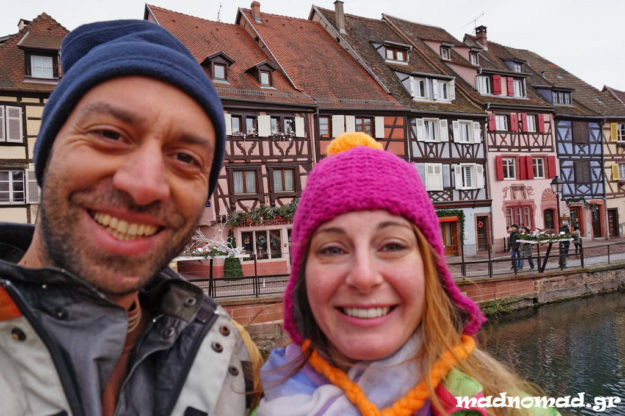 Exploring the French fairy-tale town of Colmar with Angeliki! When we had a few days off, we were traveling by motorcycle, even in the middle of the winter. We explored Switzerland, the neighbouring areas of France and a little bit of Germany. 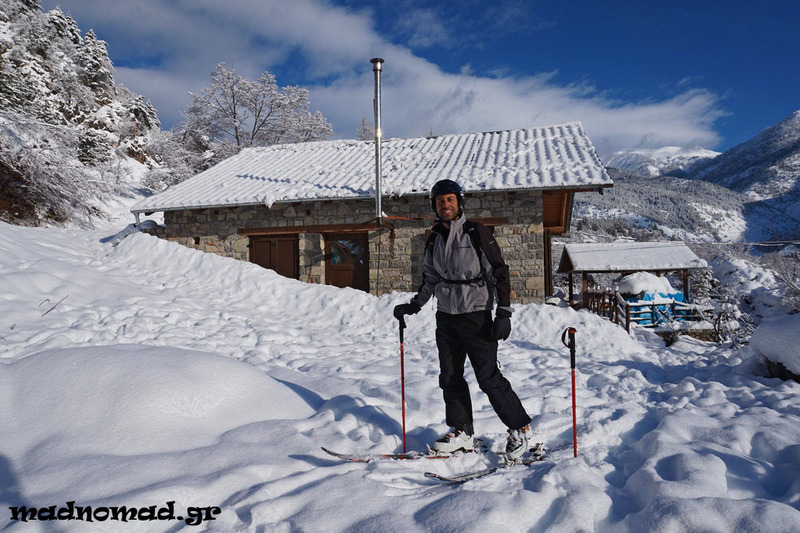 In addition, that was the ideal place to do something I was dreaming about since years ago: ski touring! I found the second-hand gear that I needed and I realized another dream of mine while exploring the snowy Alps away from the pistes. I was skiing in the forests, between the snow-laden fir trees, I was discovering crystal-clear streams, I was hiking uphill, I was skiing downhill and I was getting lost in the endless white landscapes, exactly the way I was dreaming about! 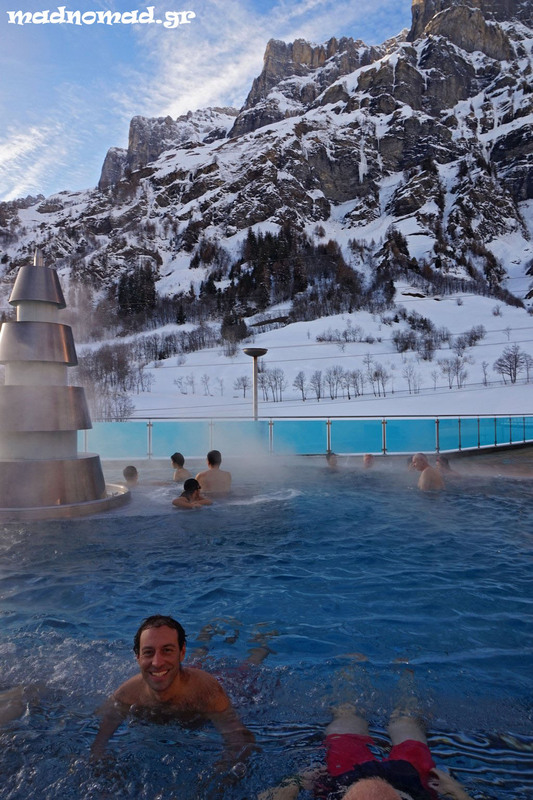 Enjoying the hot springs of Leukerbad in Switzerland between the snow-capped Alps! 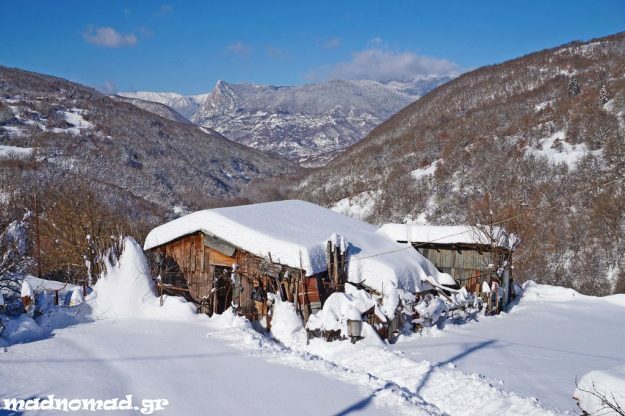 So, I am spending this winter (2018 – 2019) with Angeliki in a remote, gorgeous, tiny little village of Greece called “Pades”. It is situated on the slopes of Mt. Smolikas (2,637 m., 8,652 ft.), the second highest mountain of the country. 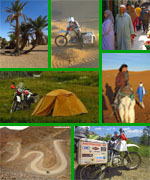 We live at an altitude of 1,150 m. (3,773 ft.), in a village of 20 people. We rent a lovely, little house made of stones and wood, while our view is panoramic and full of mountains. The pine forest which surrounds us is wonderful! 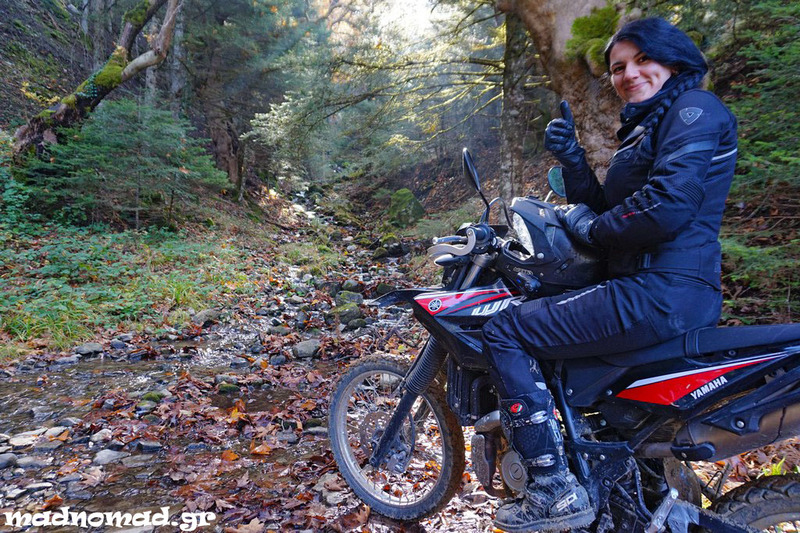 The area is ideal to practice all of our favorite hobbies in nature: enduro motorcycling, hiking, ski touring, river kayaking and… something else I’m learning now. If you read the chapter about Nepal in my first book, you may remember that I had fallen in love with paragliding. Well, it’s about time to start flying! I just completed the basic training and I am already enjoying my first solo flights in the area. I love the feeling of exploring the earth from up there! A skier’s dream: skiing straight from your doorstep!